Congratulations! You’ve hit a milestone—soon, you will be parents. Of course you’re excited about your new baby. But at the same time, your mind is full of questions and doubts, with the diverse opinions of well-meaning family and friends only adding to your confusion. Fortunately, help is close. At Samã Birthing and Beyond, we offer extensive information on preconception, pregnancy, birth and parenting. Here you will find information on all aspects of nurturing a baby from the time you conceive (or even earlier)—from nutrition to ‘garbh sanskar’, from labour support to postnatal care, from breastfeeding to weaning—and this is just where we begin! In addition to the Childbirth information sessions, we place an emphasis on fitness—from the time you decide to embark on your journey as a parent to that tumultuous period post-birth. Our regular exercise classes make you flexible, healthy and confident. We are also always around as mentors—as lactation consultants, birth partners, or simply as guides to lead you through the maze of this new journey! Based on your needs, we organize one on one, group, couple and/or online sessions. Our aim is to keep you, our clients, first. 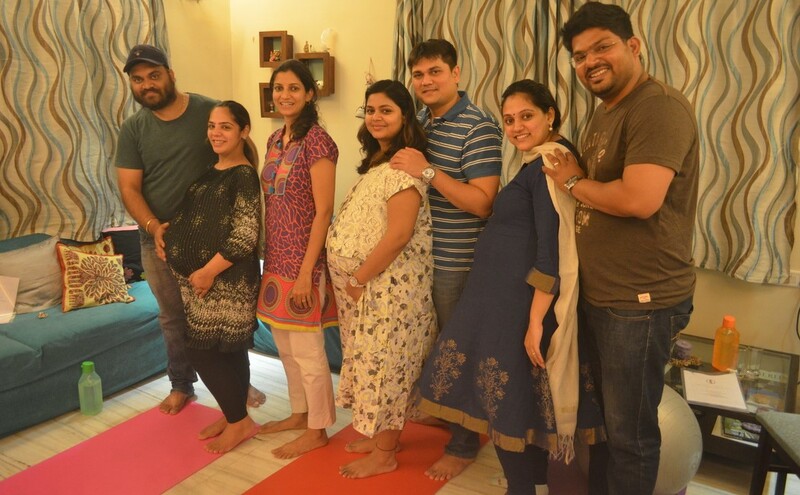 Garbhsanskar - Role of Nutrition, Fitness and Meditation in healthy development of your baby.